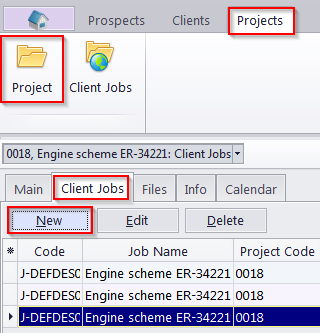 Client jobs can be created from the Project > Client Jobs section. Client jobs cannot be created from the Client > Client Jobs section and from the Ribbon > Client Jobs section. These sections are not linked to any particular project, while each client job requires a project to be a part of. Client jobs can be created from Client > Client Jobs section. Client jobs cannot be created from Ribbon > Client Jobs section. 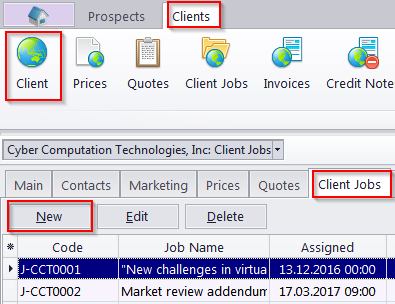 This section is not linked with any particular client, while each client job requires a client to be attached to. 1. In the Backstage view, click Advanced Settings > Workflow Mode. 2. Select the required workflow mode.